A short break to see wallcreepers and other birds, especially woodpeckers, in Istria and the Karst. Flight departs Stansted 13:55, arrives Trieste 16:15. Transfer to Istarske Toplice in Istria (90 minutes). There may be time to visit one of the local pairs of eagle owls, a common species in Istria. 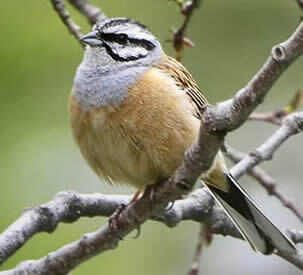 The winter months are the best to hear this bird 'singing' and they should be in good voice. Once egg-laying is complete they tend to fall silent. If we fail on Day 1 we can try on other evenings. 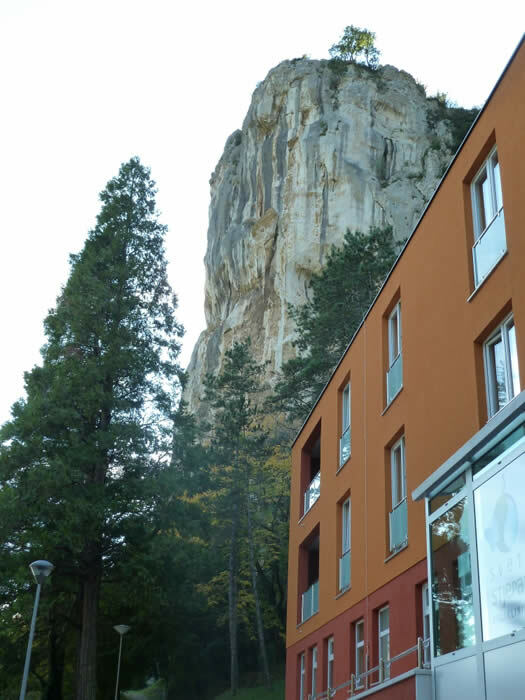 We’ll start our hunt for the sometimes elusive wallcreeper on rock-faces around the hotel. The species nests high up on cliffs in the Alps but in winter move down to often smaller cliffs at lower altitudes. In winter these rock-faces also support blue rock thrush, black redstart, peregrine falcon and raven while elsewhere round the grounds of the hotel the activity of the local woodpeckers (five species, including grey-headed and middle spotted) should be at fever-pitch, together with the songs of resident passerines. The plains oakwoods woods in front of the hotel are famous for their truffles but are also full of woodpeckers. Wrynecks are unlikely to have arrived by mid-March but the six resident species will be going about their territorial preparations for the breeding season. Dawn and the attendant drumming of the woodpeckers is at a very civilized 06:30 a.m.
After a stop at Hrastovlje, a medieval church with a world-famous 'danza macabre' or 'dance of death' painted on its walls, if we have failed to encounter wallcreepers behind the hotel we visit a second cliff close to the Italian border, the source of the river Osp, where up to three wallcreepers have wintered in recent years. After Hrastovlje we head towards NW Istria, a land with a beautiful coastline. Savudrija, the most northwesterly point of Istria has an excellent view out to sea and the Gulf of Trieste but also an extraordinary chance to examine the stratigraphy of the karst limestones, fossils and geological processes covering millions of years. The local farmland and wasteland plays host to many birds in the winter, especially in cold winters. South from here is the mouth of the river Mirna or Quieto, a Croatian Important Bird Area and reserve. Large numbers of ducks, waders and gulls can be found at the rivermouth. Moving upstream and back towards our hotel the environment changes to damp grassland and low-intensity agriculture with various raptors, great grey shrike, Spanish sparrow and large numbers of wintering pipits, finches and buntings. Our priorities will be dictated by whether we have seen wallcreepers on the first day. 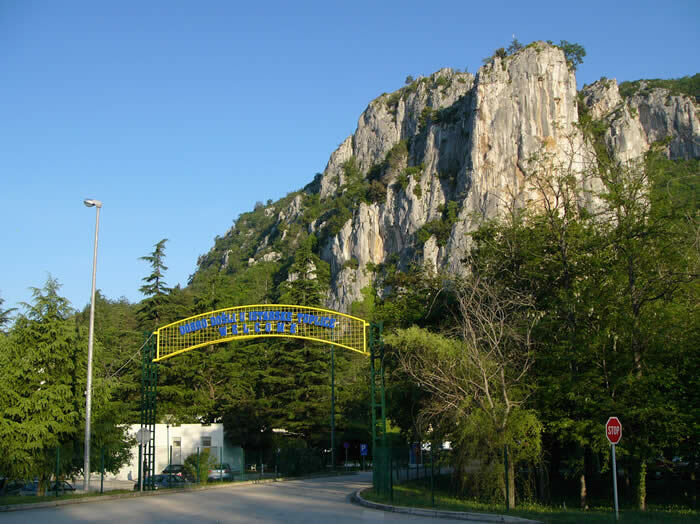 We expect to visit sites in the Karst today. The famous caves at Škocjan, perhaps the finest in Europe; also the grasslands above the gorge at Val Rosandra and the Rilke Path. These are hotspots for the wallcreeper but with a range of other birds including rock bunting, peregrine, goshawk and hawfinch. 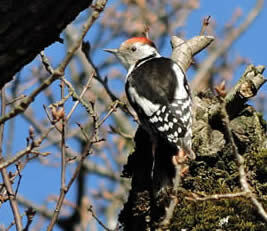 There are sites too for woodpeckers, including the elusive middle spotted woodpecker which is now colonising sites in western Slovenia from its strongholds in the east of the country. If things have gone well on the wallcreeper front, and snow permitting, we can spend some time searching for three-toed and white-backed woodpecker, the two species not present at our base and which prefer much cooler Alpine conditions such as those found at Rakov Škocjan and the forests of Snežnik. Day 5 – Sunday 13th March – Isola della Cona / Valle Cavanata and departure. Depart from Istarske Toplice. Isola della Cona (in Italy) is the European nature reserve with the longest bird check-list: 325 species with yellow-browed warbler and grey phalarope being added in 2014. In late winter the reserve and the surrounding farmland are a magnet for geese, mostly greylags and white-fronts but most years there are also a few tundra beans, red-breasted and lesser white-fronted geese present although the last may be difficult to locate within the flocks. If there is time we will also visit Valle Cavanata and / or Valle Artalina in search of the large greater flamingo flock that has colonised the area since 2013 when the species first nested in the lagoon of Venice. Flight departs Trieste at 17:20, arrives Stansted 18:40. We stay at our usual Istria holiday base: at the modern Hotel Mirna at the spa of Istarske Toplice. Perfectly located in central-northern Istria, in Croatia, it is close to the Slovenian border and about 40 minutes from Italy. Its extensive grounds are alongside the river Mirna oakwoods, fought over by the Venetians and Austrians for their timber and notable for their white truffle production. The large hotel pool, fitness room, sauna and massage facilities will be available to participants who fancy a swim before dinner or a day spent in the hotel just enjoying the facilities. Our evening meals will be in the splendid Trattoria Dolina in Gradinje which looks after us so well on our Istrian trips and gets such rave reviews on Trip Advisor. Flights: Scheduled Ryanair flights, Stansted to Trieste. Deposit: £300, or we can take the full payment of £800 / £40 single supplement. Either will be held until we are certain that the holiday will go ahead. BirdLife Slovenia (DOPPS) – the northern part of Istria is in Slovenia – is working hard to protect natural areas, especially wetlands. It also runs projects for endangered species, in particular roller and the globally threatened corncrake and lesser kestrel. Paul Tout lives on the Italy/Slovenia border. 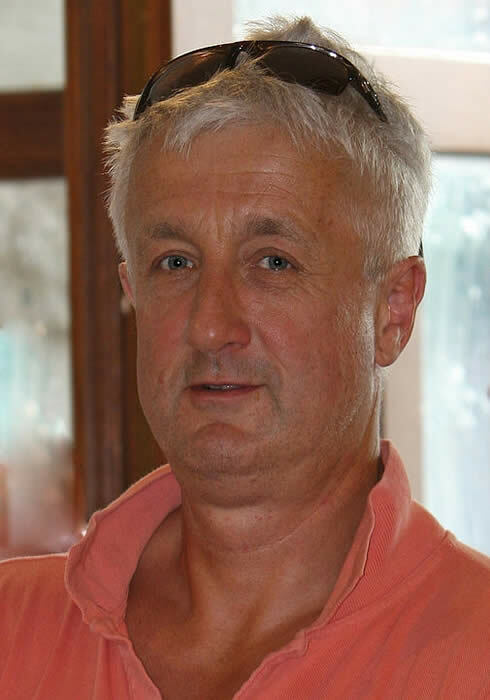 Originally from Hertfordshire, until recently he managed a botanic garden and now works as a translator, tourist guide and naturalist. 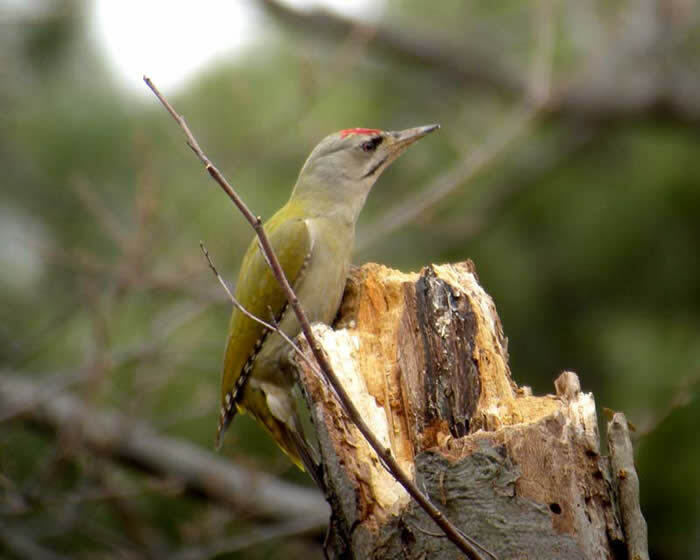 He’s been a Honeyguide leader for many years in his local area and here in nearby Istria, and has a fund of knowledge about central-eastern Europe and its wildlife. March 2016 holiday report here or on Paul Tout's Adria Wildlife blogspot. 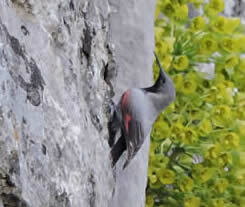 This Istria report from March 2008 was a recce that became a wallcreeper break. 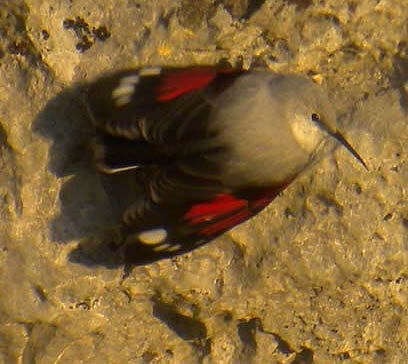 Wallcreeper near Trieste, April 2015: on YouTube here. Like the bird that frequented the Cheddar Gorge for two consecutive winters in the 1970s, wallcreepers are birds of habit and often return to the same sites from year to year. The heavy rain in November 2014 fell as snow in the Alps and birds turned up early at at least two sites in the following days. 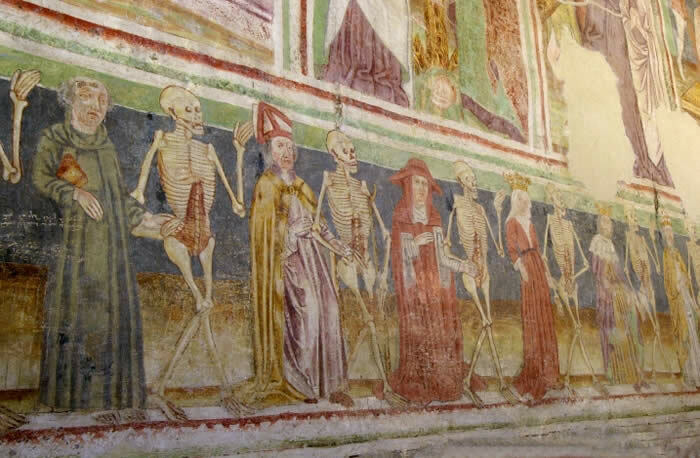 'Danza macabre' or 'dance of death' in a medieval church at Hrastovlje. 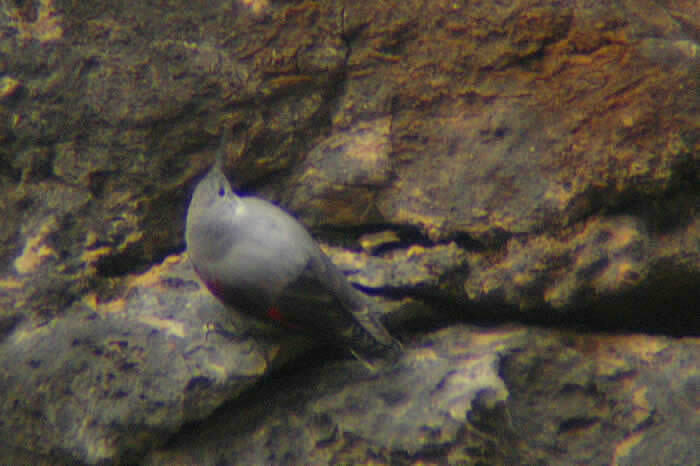 Not the best photo, but this wallcreeper was photographed at Istarske Toplice, Istria, on 18 March 2008. 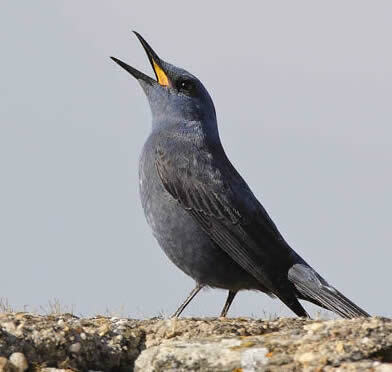 Blue rock thrush (Steve Fletcher) - often on similar rock-faces to wallcreepers. Warm clothes (including footwear) are ESSENTIAL for this weekend break. Temperatures are usually above freezing and in sunny weather with no wind can easily reach 20°C. Wellington boots are not necessary if a little care is taken and the puddles are dodged. Most of the Karst is very well-drained with no standing water or muddy areas. New part of the Hotel Mirna (Paul Tout). Both these photos show the cliff that can have wallcreepers in winter. 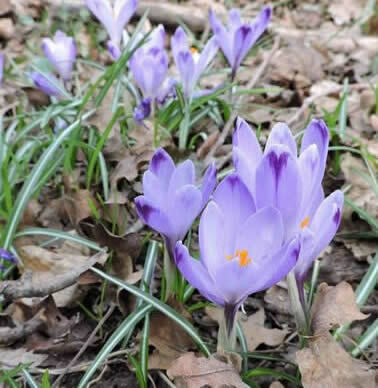 Spring flowers at this time include primroses and 'heuffelianus' crocus. Photos on this page of wallcreepers and woodpeckers by Domen Stanič (more photos from Domen here) are from this area. Assen Ignatov's photo is from Bulgaria.